Last June I bought this dining table from a vendor at a vintage market. She sold the “popular” brand of chalk paint and told me the table was painted with two coats and waxed with this product. products did not damage the finish because the entire top has cracks and flaking. The table top….what a mess! Many of you have painted kitchen cabinets with this paint and I was wondering if you have had this problem. I remember another blogger posting about greasy fingerprints not coming off on her chalk painted table and chairs but I can’t find the blog now. I need to refinish the table top but first need your advise. Do I have to strip ALL the paint off or can it be lightly sanded and repainted with latex paint? I can’t find any information about using latex over chalk paint. Some of you are probably thinking it looks Shabby Chic and just leave it alone. My OCD won’t let that happen! Here is a little peek at what is going on in my kitchen. Only sending and chalk paint agen.Cracle is the hemical proces wnen two supstance is not the same.Example:If you have cracle paint You paint with two diferente base of colors-oil and not oil.Than cracle is on the top. I would contact the paint company directly and ask those questions. Please share what you find out! Hi, I also paint vintage furniture in my business. I am wondering if you remember if she used milk paint? Milk paint is suppose to crack and chip. 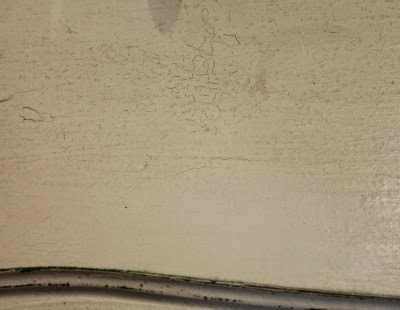 I do not use milk paint since you can not control all the chipping, it has a mind of it's own. I am not a fan of chalk paint on the table top either since it would need to have additional coats of wax put on it as you used it. ha ha, I'm one of those that thinks it looks really gorgeous, but I know what you mean. I would think a good sanding would do the job. I am certainly no expert in chalk paint, but I believe that chalk paint should sand off VERY easily. I would recommend that you sand off the chalk paint, apply Zinser primer, then paint with whichever paint you choose. That has always worked for me. I have a post on how I did my dining table that you may want to read for reference. It has held up beautifully for 6 years. Looking forward to seeing your kitchen remodel when it's complete. I've never seen chalk paint do that before. I kind of like the crackled look though but completely understand that you might not if its not the look you were going for. An antique dealer told me that the wax finish on chalk paint will leave water marks on tables. I would suggest contacting the paint company and see if they have some solutions. Keep us posted. 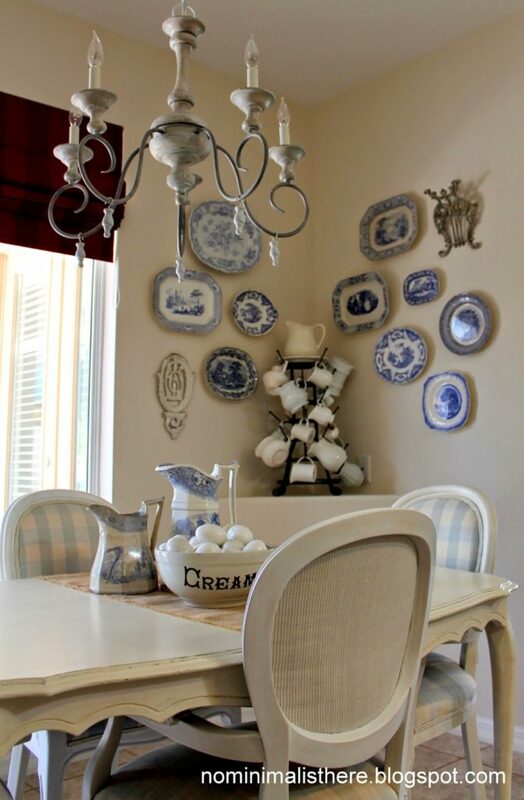 Oh my Sherry…so sorry you are having this problem…Kim (Savvy Southern Style) has done many, many chalks paint projects and also has done her kitchen cabinets…She would be a great person for advice!.. Sherry, I painted my kitchen island with Maison Blanche, Wrought Iron. It has not crackled. I used Annie Sloan's Lacquer for the top coat. The only thing with her Lacquer is it has to be put on thinly or it will turn white where it builds up. Thin coats are the key. I think any poly acrylic would have worked though. My thoughts are the tabletop may have had some residue, grease or dirt on it. I have never experienced this in the many pieces I have painted. 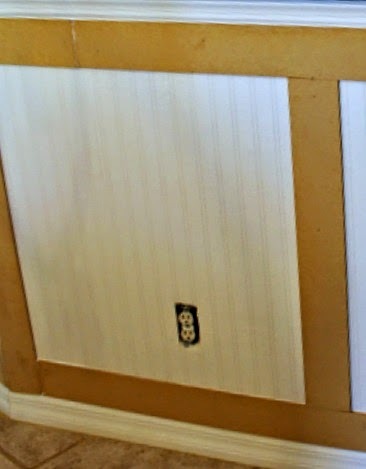 When I painted the cabinets at the our beach home, I used Annie Sloan's paint and Wipe On Poly by Minwax. Wipe On Poly may yellow white or ivory though, so if you that matters use Poly Acrylic. I would sand this finish off and prime or shellac before painting again. I really don't use wax anymore because I don't want to reapply it in the future. What a bummer, so sorry! I hope this helps. i wonder if she/he used milk paint and not chalk paint? So many people confuse the two. I would strip it off, sand and then prime and paint. I use oil based paint because I think it holds up better than chalk paint. I'm sorry you are having this problem. I think it is such a highly used surface and that is why you are having this problem. Dusting a desk or dresser isn't as taxing on a surface as a daily wiping down of a dining table.